The paper analyzes and compares the numerous translations of L’Étui de nacre by Anatole France into Russian. 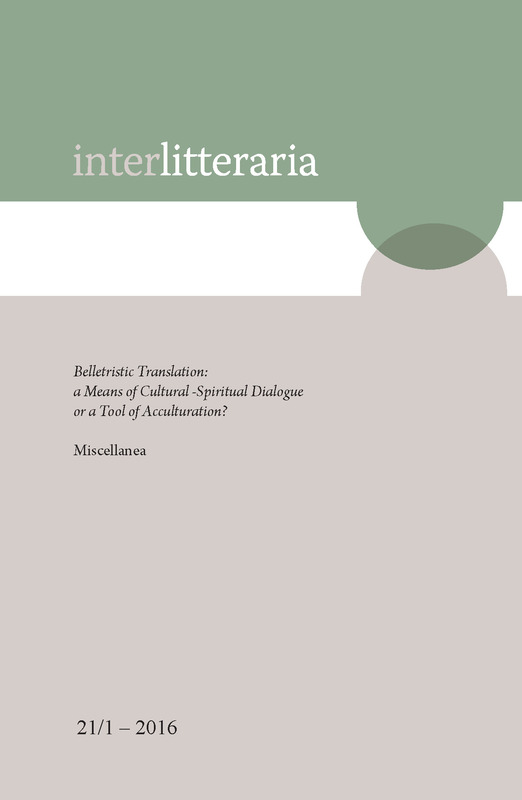 The undertaken research aims at establishing the tendencies in the long series of translations, taking into account the possible reasons for the translators’ long-lasting interest in the text. We first analyze the translational theories of the time and highlight their evolution during the first half of the 20th century. Then, we suggest an analysis of France’s cycle, and consider the motives behind its appeal to the translators. Finally, we compare the strategies chosen by the translators and the way they may affect the perception of the text. We argue that the flow of translations may be explained by the complexity of France’s text, which has resulted in a constant search for a perfect translation. The complexity comprised both linguistic difficulties, such as France’s balance of natural speech and elevated objects of description, and extralinguistic hurdles, for instance, the abundance of realias belonging to different epochs and countries. It is obvious that translations done in different years from 1890 to 1959 reflect the development of translation theory and also the political and social changes which Russia underwent during this period. Another conclusion that we are coming to is that the existing translations tend to demonstrate a significant decrease in ambiguity, inherent in France’s cycle.